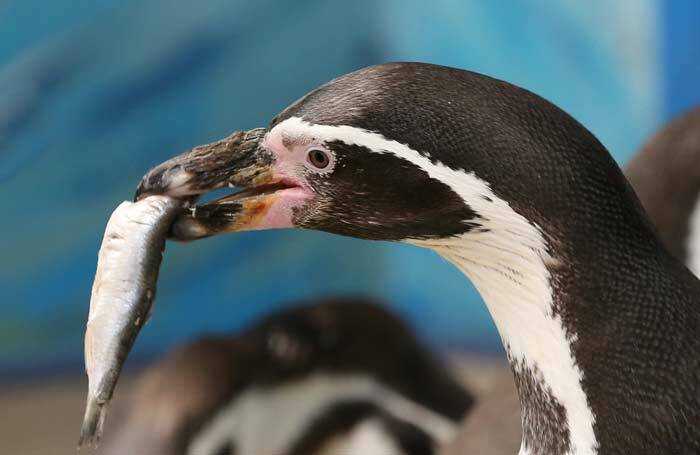 While penguins generally eat krill, squid and fish in the wild, their diet still varies according to the classification of the particular penguin species. Penguins are classified into six different groups and these are the great, brush-tailed, little, crested, banded and yellow-eyed penguins. Apart from fish, squid and krill, great penguins including the emperor and king penguins also include small crustaceans in their diet. Brush-tailed penguins such as the chinstrap, Adelie and gentoo subsist mainly on Antarctic krill and silverfish. Little penguins hunt for food in shallow waters, which means that their diet is composed mainly of small animals that they chance upon their hunting grounds. Banded penguins such as the Magellanic and the African penguin eat mostly sardines and cuttlefish. On the other hand, about 90 percent of Yellow-eyed penguins is made up of fish. Crested penguins feed on small fish, octopus and crustaceans.